Follow this process to plan your diy kitchen renovation. Planning your new diy kitchen renovation is one the of the key components of your kitchen renovation. Spending time in the planning phase will ensure you get it right and then you will be forever happy in your new kitchen. We have summarised a few basic steps below but recommend for more detailed information you download our ‘Kitchen Design Guide’ which is a great source for planning your kitchen renovation. All kitchen renovations start here, you need to know the size before you can decide on how many pot drawers, cupboards, appliances etc. to incorporate into the design. Download our Design Guide for detailed “how to measure” and draw a sketch of your ideal kitchen. 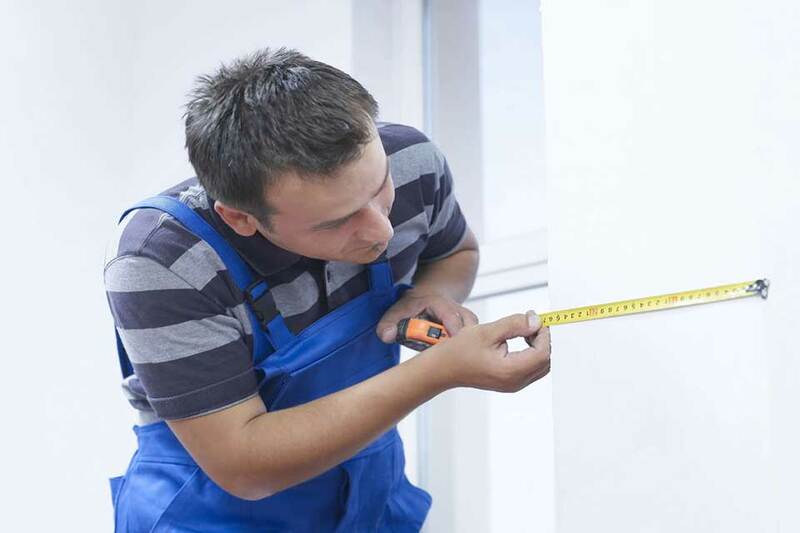 It’s quite simple to measure your room but important to remember to also measure the windows, architraves, appliance spaces such as fridge, doorways and every other kitchen element. Measurements are critical for a conceptual kitchen design so take your time and if in doubt measure twice to make sure. This is the initial stage of planning. There’s no need to stress because at Kitchen Shack we help you through every step and of course we can always arrange for a final check measure after your free design in the Showroom. Do kids do homework at the breakfast bar while you cook? Does your kitchen double as a laundry? Do you enjoy cooking? Careful consideration on appliances is needed. How many people use the kitchen at the same time? A different layout is required for two or more chefs cooking at the same time in the kitchen. Do you entertain often? Then larger bench spaces would be important. Can you use existing power point, gas and water locations to save money? This is also the time to collect all your images, photographs and likes/dislikes for your kitchen space. When you come along to the design appointment bring images of your style and taste as well as photos on your phone or ipad of your existing kitchen so the Designer can really understand your home to design to your likes. The kitchen working triangle is key in all good kitchen renovations. Put simply this means a triangle should be drawn between the 3 key work areas – the kitchen sink, fridge and stove. This provides ease of reach and ease of cooking. Remember also to think about maximising your storage space – you can never have enough. 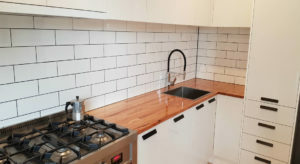 You can choose to draw up your kitchen using the grid template if you are keen however, most prefer to leave this stage to the Kitchen Designer Professional. You can easily book an appointment online for a free in-store design and pricing on the spot or call us direct at your nearest showroom to make an appointment. Finally, don’t forget the all important budget. The decision on how much you can afford to spend on the kitchen including trades and appliances. We can help you with your complete kitchen renovation to save you money and time! Remember to allow 60 to 90 minutes to work with our Kitchen Designer in the showroom designing your kitchen in 3D and once your kitchen design is complete we provide same day pricing. Remember our Lowest Prices Guaranteed* – we will beat any price for the same product and service by 5%. That’s our promise to you! 4. Easy – take Delivery and enjoy! Once agreed on a design, sign the paperwork and place a deposit your kitchen order will be placed with our manufacturing before delivered direct to your door. Kitchen Shack kitchens come fully assembled a clear point of difference to save you time and money. DIY installation is not an easy task and takes days. You may find it easier and faster to use Kitchen Shack Installers and trades to do the hard work to save even more time and headaches. 96% of Kitchen Shack customers prefer this option but it’s up to you.